a. To only refer patients to healthcare providers that will profit the GP consortia's via commission payments. b. 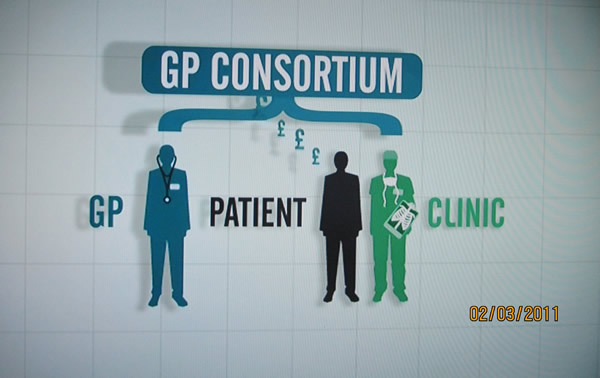 To avoid /delay referrals so as to generate under spends in the GP consortia's so that these under spends can be paid out as dividends to Consortia partners (GP's). This even extends to patients being lied to that referrals have been made when in reality no referral has actually been actioned, with the GP practice hoping that the patient will eventually end up in A&E rather than the GP practice / consortia covering the costs for making the referral and resulting treatment. Therefore the policy of putting profits before patients is resulting in GP's playing pass the parcel with patients so as to avoid spending budgets on treating patients. This is why cancer amongst many illnesses are not being referred by GP's but only being diagnosed on admission to Hospital A&E casualty units after illnesses have progressed towards the latter stages thus making the survival chances far poorer resulting in greater cost to the NHS and and poorer quality of life. Unfortunately this is indicative of a fundamental flaw at the core of the NHS that there is no competition for patients between GP's that continue to operate as protected local monopolies thus in a race to the bottom of who can generate the most profit by offering the least service to patients. The race to the bottom can only be be ended if there is real patient choice, not only for GP's but also hospitals and other health institutions right across the country where treatment is sought which requires real reform of the whole NHS health care system from diagnosis to treatment of all patients . 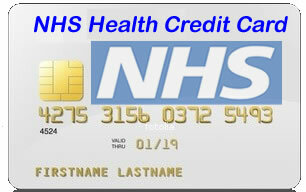 An important element would be to place the power to purchase healthcare into the hands of the patients by means of an NHS Health Credit Card system, that enables patients to purchase health services from any GP practice or hospital regardless of whether it falls under the NHS umbrella or is fully private, so that both patients and health practitioners would be fully aware of the financial transaction involved in the purchase of the health service, which is set against the current system where patients are made to feel that they may be wasting the GP's time so are easily put off by the practiced dismissive attitude of most GP's during initial consultations, which means the medical condition of patients reaches a far more serious state and this proved more costly for the NHS to treat. 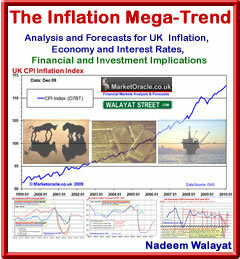 The impact of this would be to greatly REDUCE the cost to taxpayers whilst at the same time delivering better health services, a win, win outcome for the people of Britain as opposed the current system of an out of control unproductive £130 billion National Health Service that attempts to mask failure to deliver with phony statistics and propaganda of a "free for all service" that does not match real patient experience. The bottom line is that patients are being forced to pay twice for healthcare, once through high extortionate taxes for their NHS GP practices and then again to pay for competent private GP consultations as the alternative would be to die prematurely. We will only truly find out the extent of what amounts to fraud perpetuated on tax payers many, many years from now just as it took many years for the banking sector LIBOR and other frauds to be revealed.